Category: Books, Self Help & Personal Development Tags: emotions, personal development, philosophcal, self-help, happiness. We all want to be happy but what is happiness? 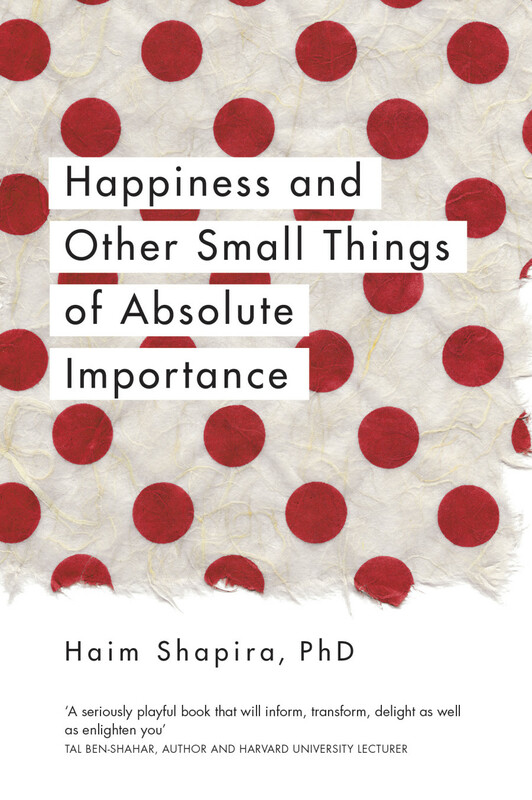 Haim Shapira navigates the terrain of happiness, exploring and contemplating an eclectic range of theories and insights into the conflicts we face on our journey to creating our own happiness. What is your happiest moment? How can you know it? Do we waste time or does time waste us? Are questions about meaning truly meaningful? What’s really important? How do our emotions, our desires, our imagination and our understanding of our ever changing relationship with meaning help us to define and understand what happiness really means and what really matters. Drawing on literary and philosophical sources ranging from Alice in Wonderland, Winnie the Pooh and The Little Prince to Descartes and Nietzche, Haim Shapira invites us to challenge our perspectives on happiness and provides us with alternative ways we may view what is important. As Haim concludes it is the spaces in between the possible paths that we might take, where we are able to find a place of grace that the important things that matter to us will light our way. The choice is ours. Dr Haim Shapira is an expert in game theory and a popular public speaker, fascinating audiences around the world by sharing practical applications of game theory for everyday use in decision-making processes. Haim holds PhDs in Mathematical Genetics, and Science Education from Tel-Aviv University, where he is currently a senior lecturer at their College of Management. He teaches mathematics, psychology, philosophy and literature and is the author of several books, including Following Alice – A Journey into the World of Lewis Carroll.